Training and Support: We set you up for success through our comprehensive training program, you will be taught everything you need to know about our systems, procedures and how to operate a busy fast paced restaurant business. Ongoing training is available through _ãÄNoodle U', our innovative online platform. 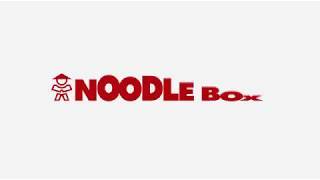 Noodle Box is Australia’s largest and most popular noodle-based franchise. It operates retail food outlets that specialise in the fast service of Asian inspired food cooked using only the best fresh ingredients by our wok masters. Our restaurants offer a vibrant feel and we turn the humble kitchen into a fiery theatre that transforms the simplest ingredients into a feast that’s out of this world. Noodle Box is seeking interest for Melbourne, Brisbane Regional Qld, Canberra and Northern Territory. Visit our website for further information. Pack and go: how green is fast food franchise packaging?